Big and unique like never before! With 105 thousand square meters, 280 stores and 14 movie theaters (including the Imax theater with the widest screen in Europe) the new Oriocenter is born under the banner of the most exclusive shopping. And there is more. The large areas dedicated to entertainment and the new food court enclosed in a scenic wooden architecture that ensures an intimate and enveloping atmosphere transform it into a destination for families, friends and travelers. Are you ready to think big? Do you want to live a truly unique experience? We are waiting for you at the new Oriocenter; today it is even easier to reach it thanks to the new road network! Great cinema has landed at Oriocenter: 14 large screen theaters for a total of 2,500 seats, ultra-comfortable armchairs, café and relaxation area. And that is not all; on June 22nd the IMAX theater was inaugurated with a double laser projector and a screen of more than 450 square meters, the largest in Europe! 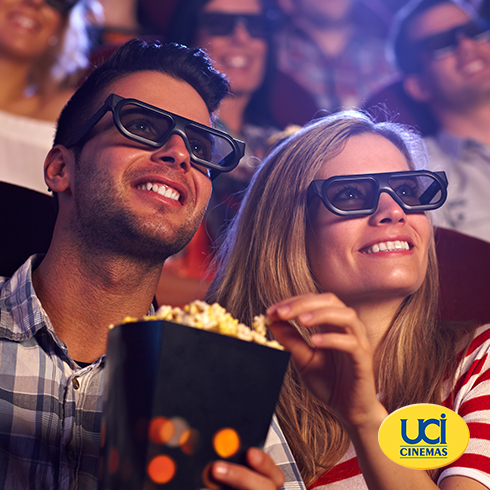 With UCI Cinemas Orio an exciting and engaging technological experience awaits you. Relive the expectation, the buzz and the unique emotions that characterized the great opening event of the new Oriocenter!